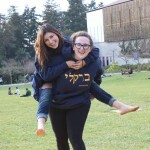 The students and staff at Berkeley Hillel are so excited you have begun your journey at the best school in the country. 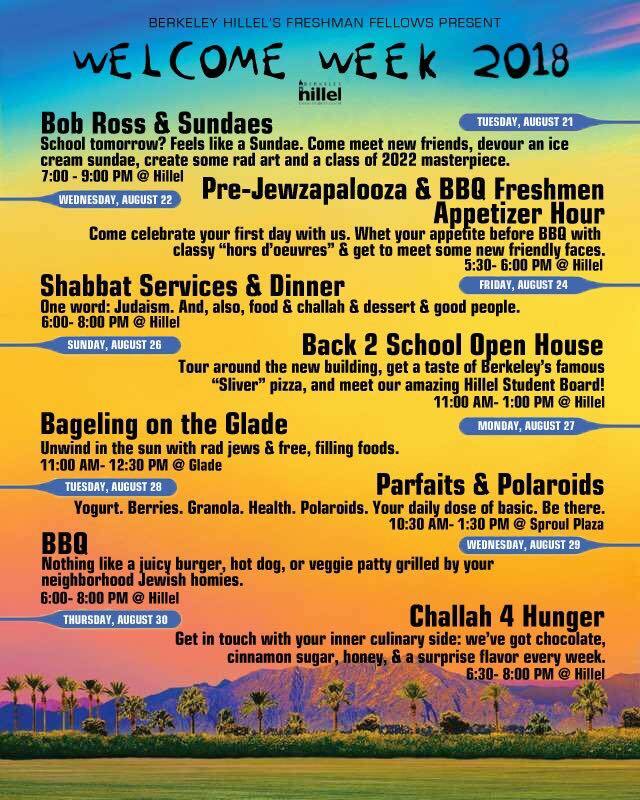 There are a lot of fun things happening at Hillel throughout the year, and you’ll quickly get acquainted. Take a look at the rest of our website, our Facebook page and Facebook group too! And don’t forget to sign up for our newsletter. Questions? Please email Molly at mshapiro@berkeleyhillel.org and one of our Freshmen Fellows or awesome staff members will get back to you with the answers you need! Who has been planning all of this for the new students? This group of incoming sophomores has been working this past spring semester to plan Welcome Week events, the Freshmen Retreat, and fun events for the rest of the Fall semester. 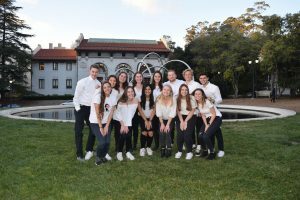 Freshmen Fellows are part of a year-long leadership fellowship at Berkeley Hillel. Not only are you invited to their events, but the fellows regularly take new students out for coffee! Feel free to reach out to any of them to meet up at one of their favorite cafes around campus. They are the ultimate resource for all things Berkeley and Hillel. Check out their bios and contact info by clicking here!